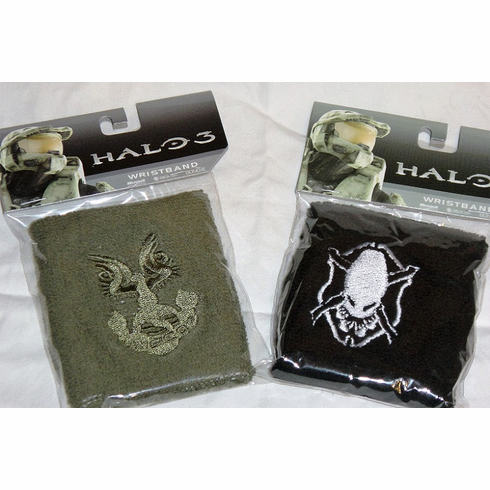 Don't go into Halo 3 video game battle without your UNSCOP, or Covenant wrist band to wipe away the sweat! For the Spartan in you or the Spartan, you know. Choose the Green, UNSCOP wristband, or the Black, Covenant wristband. One $5.39, both wristbands only $9.28.